Today VMware had planned a webcast named ‘Raising the bar. Part V’. It was a public secret that they were going to announce VMware vSphere 5 and indeed they did. 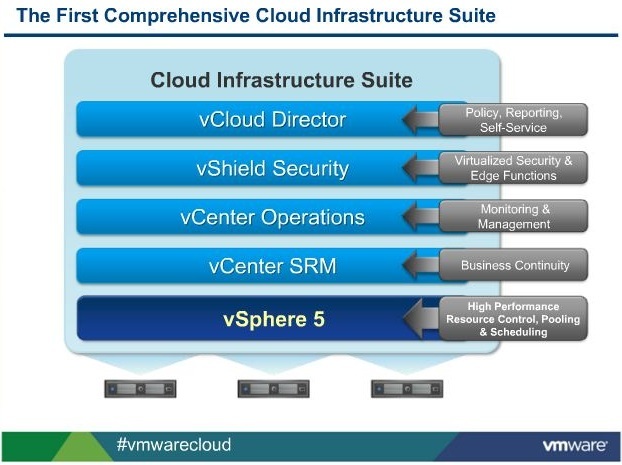 But on top of that VMware also new released new versions of vCloud Director (1.5), vCenter SRM (5.0) and vShield (5.0). T o accomplish this VMware has spent more than a million hours engineering and two million hours of quality assurance to deliver hundreds of additional capabilities which eventually became VMware vSphere 5. But why this new version of vSphere and additional products? 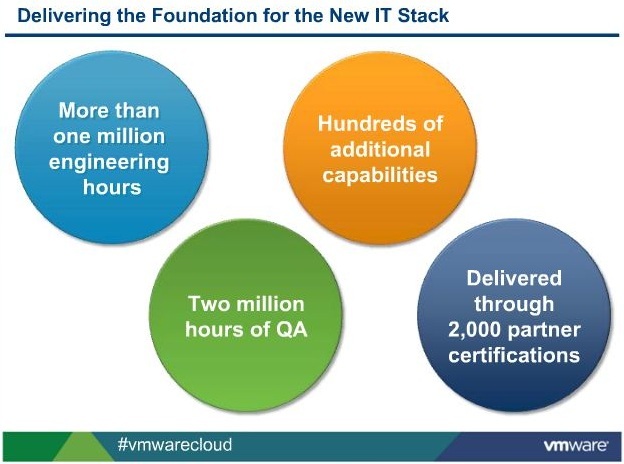 VMware acknowledges two large transformations taking place. First of all customers are looking for ways to reduce the infrastructure complexity. By using more automation they want to create infrastructures that are easier to operate with lower cost of operation. The second transformation is the consumer who is device independently connected to an information centric world. This is the post-PC age where the PC is no longer dominant and applications can no longer support the ‘Facebook generation’. They need a new platform to build new applications on. VMware defined three stages, which we already saw at VMworld 2010, the IT Production stage, Business Production stage and finally the IT-as-a-service stage. 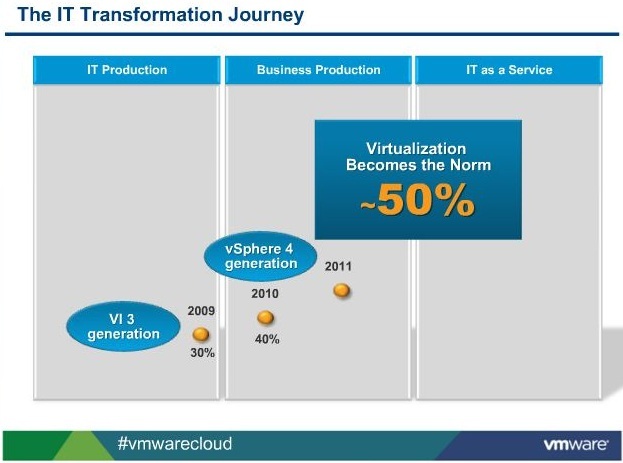 In 2011 VMware moved well into the Business Production stage with 50% of all x86 workloads being virtualized, primarily on vSphere 4. 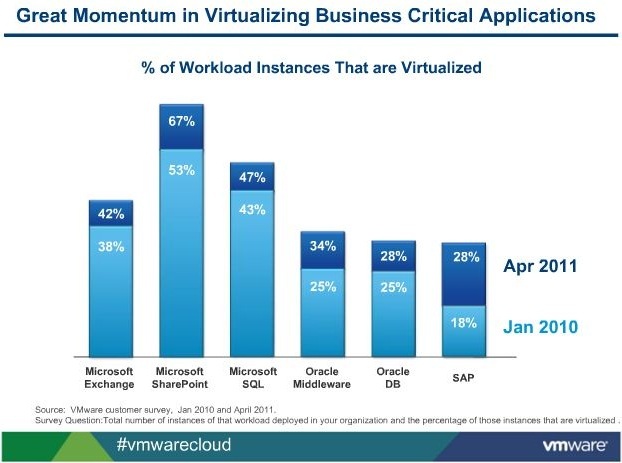 But there is still 50% left, so we need to continue to accelerate to virtualize those workloads also. Bit in the meantime we need to amplify the value of the virtual infrastructure. To do this, take the next step and move to the IT-as-a-service stage, VMware now announced their new flagship product, VMware vSphere 5.
vCloud Director to deliver the self service ability. According to the Gartner and IDC numbers the virtualization of business critical application is huge and keeps growing in 2011. But with the increase of x86 virtualization the demands on the virtual infrastructure rises and performance has always been an issue. In my opinion it’s more of a non-issue because the performance delivered by vSphere 4 was already sublime, but to silence the people who still doubt performance in virtual environments, VMware increased the performance by a factor 4. This will also silence Microsoft and Citrix for a while. They can start engineering new Hyper-V and XenServer versions to compete with this but this will probably take a while. 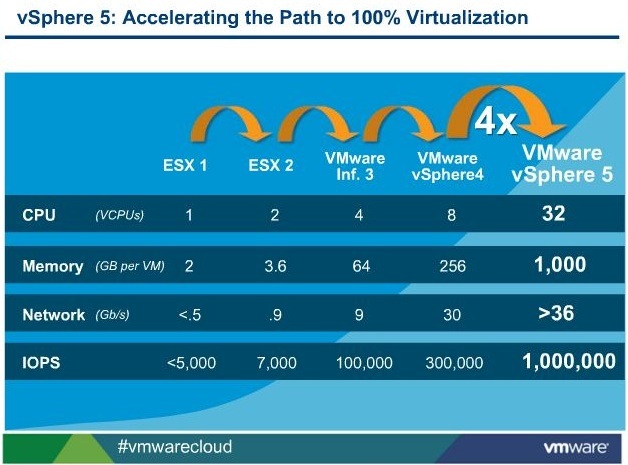 VMware raised the performance bar big time! 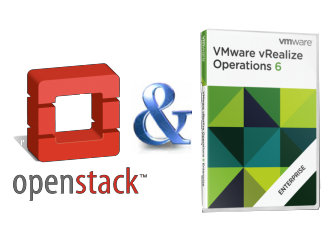 Of course vSphere 5 is an overall great product but I definitely have some favorites. This is one of my favorites but I think HP won’t like it that much because it competes with their HP P4000 Virtual SAN Appliance. What does it do? It combines the free local storage you have in your ESXi servers and turns it into a shared storage solution. 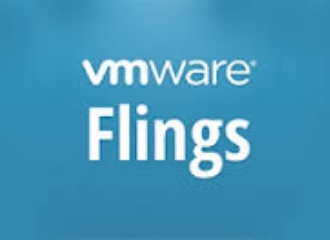 Great new software from VMware and perfect for smaller VMware customers who don’t want to invest in a costly centralized storage solution. 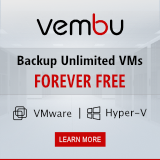 With this they can now benefit from many additional vSphere features without having to purchase a SAN or NAS device to provide them with shared storage. VMware has enhanced the Storage vMotion feature and combined it with DRS in order to provide automatic load balancing for storage. Users will be able to define groups of data stores, called storage pods capable of automatic load balancing based on capacity, increasing storage utilization. Storage Distributed Resource Scheduler (DRS) will use Storage vMotion to perform automatic load balancing if a disk becomes overloaded. Storage DRS users will be able to define groups of data stores that will automatically load-balance based on capacity. Users can then provision virtual machines (VMs) to specific storage pods rather than to specific data stores. One of the thing AJ already tested, Stateless hosts. With Stateless host you can run diskless hosts which you boot using PXE. More or less identical to Citrix Provisioning but now for ESXi hosts. This comes with all the advantages of single/golden image deployments like patching and other maintenance tasks. With the Auto Deployment tool an administrator can manage the stateless ESXi environments. Very cool, definitely something you should check out. With vSphere replication you can now replicate your virtual machines and data to an alternate location without using SAN based storage replication. This enables customers to use different brands of storage on different sites. But probably the most important change and the one with the biggest impact is the change in licensing and pricing. 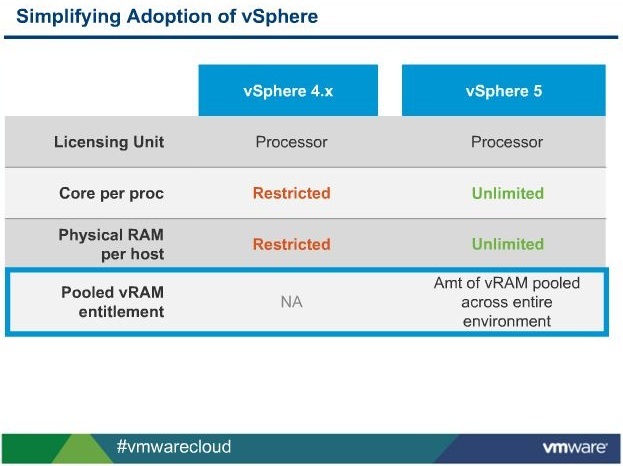 VMware will retain a per processor model but they wanted to remove some restrictions which were in the vSphere 4 licensing model. This is mainly regarding the number of cores per processor and the amount of physical memory in a host on which vSphere 4 could be deployed. So, it does no longer matter how many cores or amount of memory a ESXi hosts has. VMware has replaced these restrictive physical entitlements with a pooled vRAM entitlement. This is a virtualization based entitlement which is based on the total pooled vRAM that you have allocated to your virtual machines across your entire infrastructure which is matched against the entitled vRAM that comes with the processor license. On top of that, VMware has reduced the number of license packages from six to five. They have dropped the vSphere Advanced license from the list.